Cheese sauce. Who cares what's under it. The sprouting crop of man buns around the room at the Woodrose Café (911 Redwood Drive, Garberville) might lead you to worry about trendiness encroaching on your breakfast, but fear not. A copy of Sunset Magazine's Eating up the West Coast, into which the house recipe for cheese sauce found its way, is propped up behind the counter. 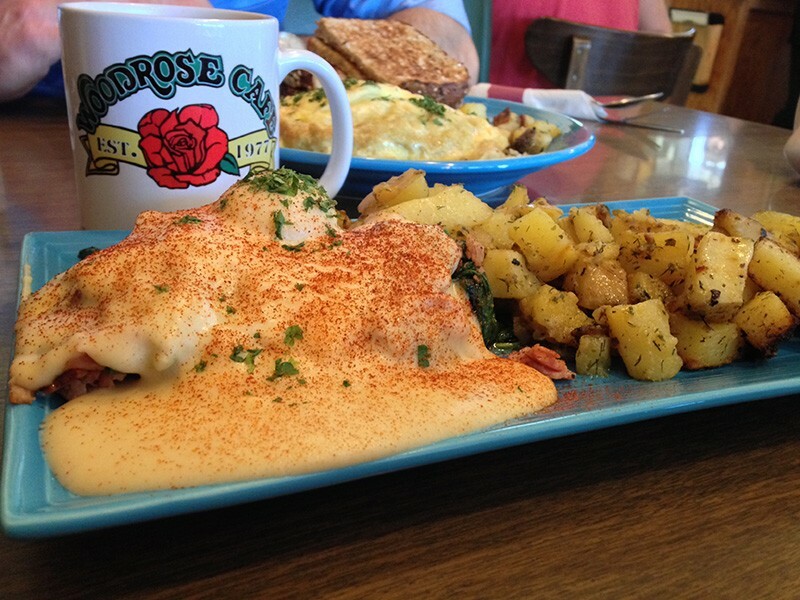 Find out why — order the Eggs Woodrose ($13.95). The poached egg and mound of ham and spinach are obscured by a ladle of white cheese sauce. At the bottom somewhere is an English muffin. Taste the creamy and not overly salty stuff and ask yourself what else might be improved/hidden with a warm blanketing of it. (Brussel sprouts? Urban blight?) There are potatoes, too. They are herbed and possessed of a kind of salty pan crust that only comes when the cook has the steely nerve to leave them alone in the skillet. Your ketchup may go ignored. The mushroom omelette reveals its bounty. 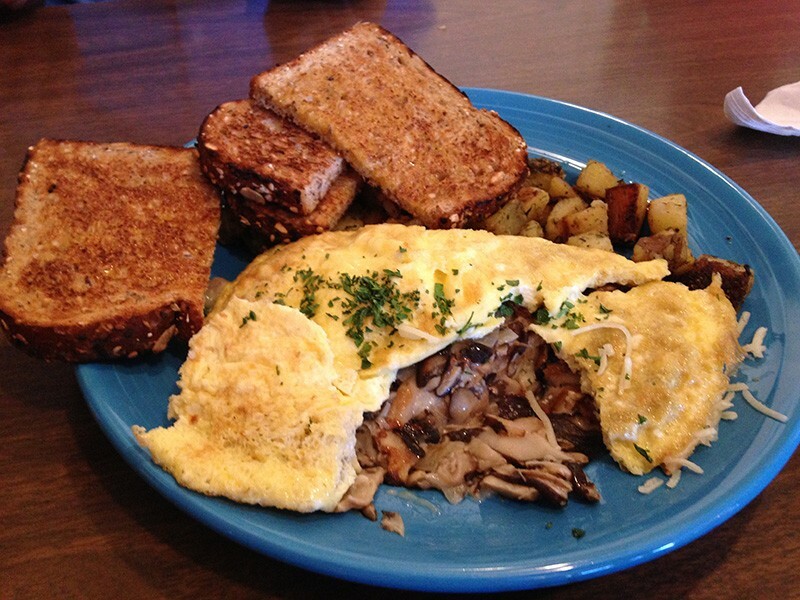 Also accompanied by potatoes is the mushroom and cheese omelet ($13.95). It's not cheap, as omelets go, but given the sheer volume of sautéed locally grown shiitake mushrooms, you might be getting it at cost. Along with the melted white cheddar, they are deeply satisfying. It fulfills the broken promises of your friends who are always telling you a portobello burger is just as good as a real burger.